Oakland, California – August 28, 2018. San Francisco Dental Implant Center, the Bay Area’s leading dental implant center, is pleased to announce a post on its “sister city,” of Oakland, California, specifically targeted at those who live across the Bay and are searching for the best dental implant provider in the East Bay. 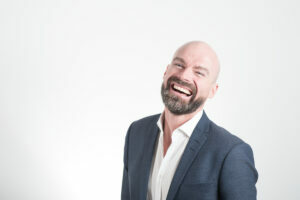 To review the new postings from San Francisco Dental Implants go to; https://www.sfdentalimplants.com/blog/tag/oakland-dental-implant. Three new postings focused on Oakland dental implants can be reviewed. Topics ranging from choosing the best to the value of quality dental surgery have been posted. Indeed, those seeking Oakland dental implants information can visit https://www.sfdentalimplants.com/oakland-california/. Furthermore, both Oakland and San Francisco residents interested in oral surgery procedures including jaw surgery and dental implant options can visit the company’s sister “oral surgery” website. Here is background on this release. Delivery trucks can be found travelling the Bay Area roads each day. Goods ordered in Oakland can be quickly delivered to a business located in San Francisco. Residents may be accustomed to searching for a top quality product and finding the right choice over a bridge in the Bay Area’s two “twin cities.” Choosing the best in a service or product can mean driving to a city next door. If a person needs to find the best Oakland dental implants clinic, in other words, it could mean searching in the city of San Francisco. For these reasons, San Francisco Dental Implants have released three new postings specific to Oakland. Topics available in the newly updated archive include such issues as a) cheap vs. expensive when it comes to dental implants, b) choosing a specialist in dental implants vs. a generalist,” and c) the value of taking public transportation to/from the San Francisco Dental Implant Center from Oakland. Interested persons are urged to visit the web archive to read the plethora of content of interest to East Bay residents.